HP’s Wired Keyboard K3010 provides a modern approach to computer control fundamentals – with designated function keys for Windows 10 access. No hunting and pecking with large format chiclet-styled keys within a full streamlined keyboard provide a comfortable and user-friendly experience. 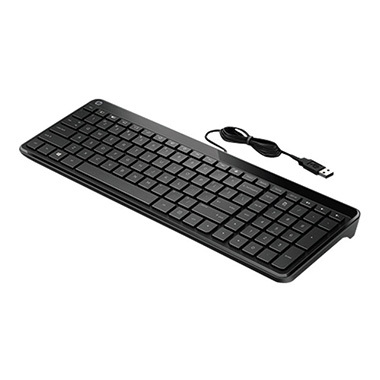 More than just typing, the keyboard provides special function keys to allow for easy multi-media control and access to Windows 8 Charms Bar, Switch List, and more.